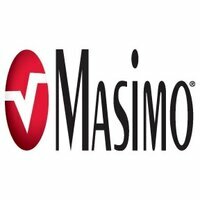 Masimo (NASDAQ: MASI) is a global medical technology company that develops and manufactures innovative noninvasive patient monitoring technologies, including medical devices and a wide array of sensors. A key medical technology innovator, Masimo is responsible for the invention of award-winning noninvasive technologies that are revolutionizing patient monitoring, including Masimo SETÂ® pulse oximetry, Masimo Rainbow Pulse CO-Oximetry and new Masimo noninvasive and continuous total hemoglobin (SpHb¢) monitoring technology. The recent introduction of the first-and-only FDA-cleared technology that noninvasively and continuously measures total hemoglobin without a painful needle stick and invasive blood draw is expected to open new markets and significantly expand the companys growth opportunities.